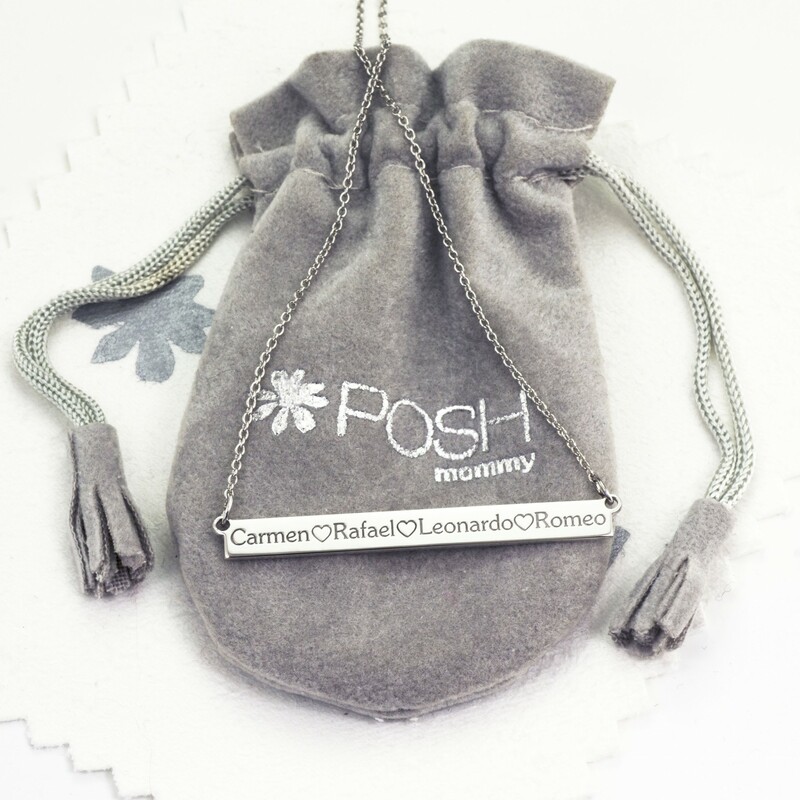 Create a beautiful piece engraving your favorite names on this bar necklace which has been seen on POSH Mommy loyal friend and fan, Hilaria Baldwin. 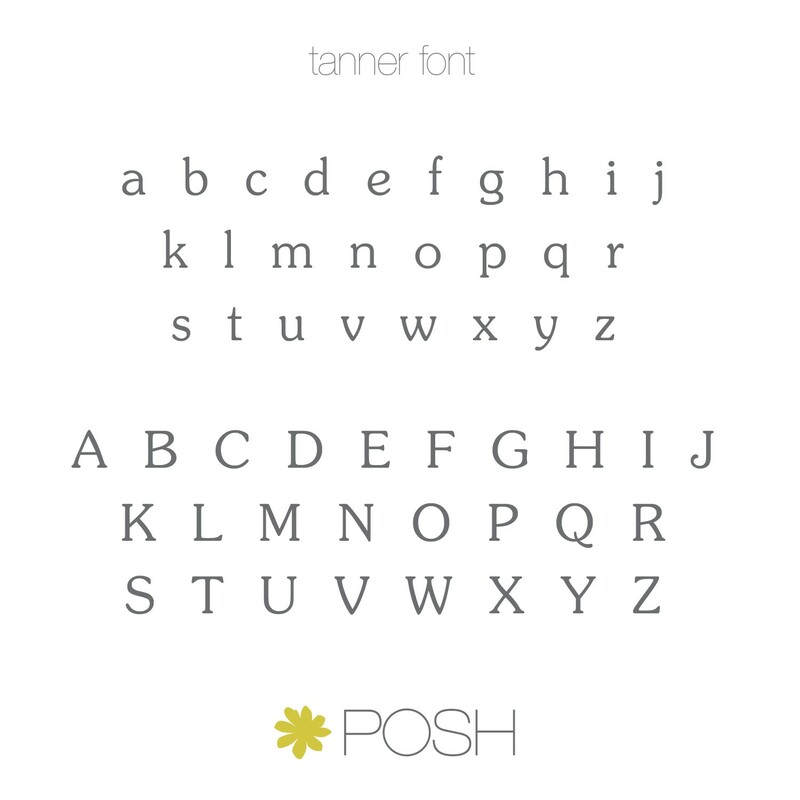 Thinner than the POSH Bar and thicker than the Brooklyn, this bar is the perfect size for three or four names. Blackening available to make an extra impact. Want to learn about all the bars we offer at POSH? Read our Bar Blog post to find the bar most stylish for you! *We recommend upgrading to the cable chain for everyday wear. 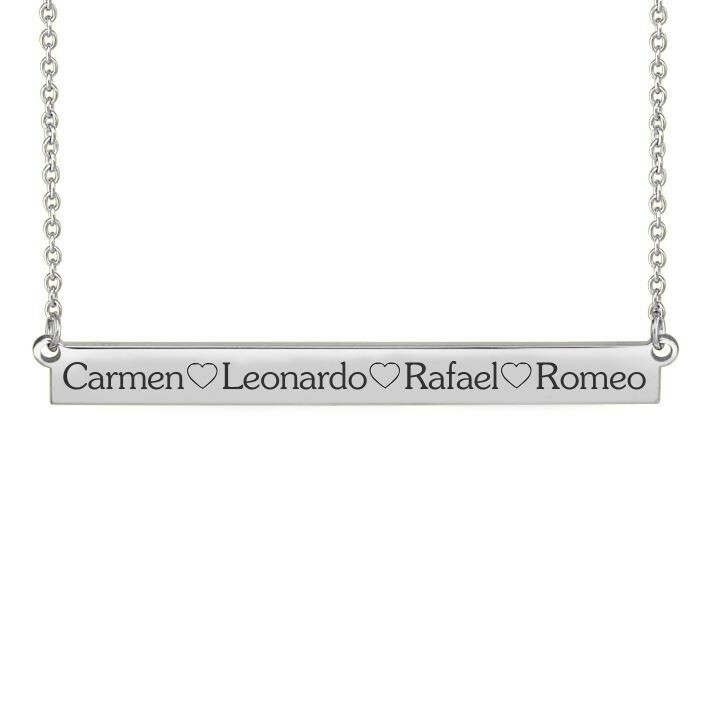 ***This is the Bar Necklace as seen on Hilaria Baldwinm engraved with her four babies names.